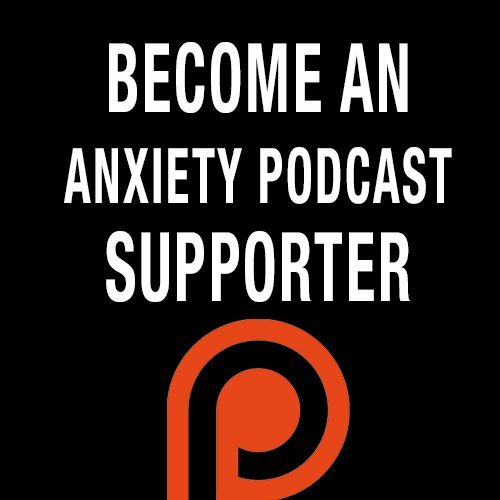 In this episode I have the absolute pleasure of getting to talk to some of the less anxiety, more life community. It was amazing getting to speak to some of our listeners and hear how far they've come in their own journeys. This truly was my favourite podcast episode so far. TAP 144 - Cyndi O'Meara - What's With Wheat? What's Had The Most Impact On You? Heather - Thinking of meditation as a way to observe your thoughts not try to control them. Jennifer - The podcast teaches a better way to live your life. Jennifer is now able to drive again! Clare - Recognizing that I'm not alone. What Changes Have You Implemented In Your Life? Heather - "Meditate, Exercise & Stay Off The Internet"
Clare - "The 3 C's" / "Really embracing the concept of Leaning In"
Chris - Looking at his diet and making some changes. What One Piece Of Advice Would You Give To Someone Suffering From Anxiety? Heather - "Don't Take It Too Seriously"
Ian - "Finding the time to experiment with different things"/ "It will get better"/ "In the resources available there are things that will work for everyone"
Jennifer - "Listen to the podcast" / "I think medication is just putting a bandaid on"
Clare - "You are not alone" / "You will be able to move on and to thrive, you have to be willing to do the work"
Chris - "Keep persevering" / "Believe in yourself and stay true to you"/ "If you feel like medication is not for you, it's probably not for you"
Aaron - "Fast steps or slow steps we are all headed to the same destination"